1. Main driving adopt high precise of gear driving, rind die adopt quick dismantling clamp, the efficiency improve approximately 20% higher than belt driving. 2. The machine’s driving parts use high quality of imported bearing and oil seal to ensure high efficient driving, stable and low noise operation. 4. Considering material and heat treatment, the running parts’ have been strengthened in order to meet the requirement of biomass pelleting. 5. Patented ring die technology, mainly improve ring’s quality and increased capacity per our and overall capacity. 6. 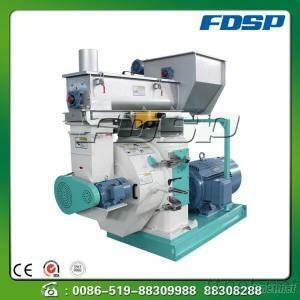 Additional oil adding system, additional air cooling system, with high efficiency, low energy consumption, stable operation, good quality pellets and reliable performance. Our company has a ring die production workshop, our auto drilling is leading technology in China, self-manufactured ring dies are with distinct material, fine process and heat treatment, hole drilling technology can reach gun drilling effect, good production performance and high capacity. Delivery Way - Date Of Delivery: transport by sea, air express. Delivery date according quantity of order.